The Golden Chinese Ingot has become the classical symbol of wealth and asset accumulation! The shape of the Chinese ingot is derived from the time of Imperial China, where currency in large denominations were fashioned in this boat-shape using pure silver and gold. Today, beautiful Chinese Ingots made of gold are still placed in the offices of high officials and successful businessmen to attract on-going prosperity luck. 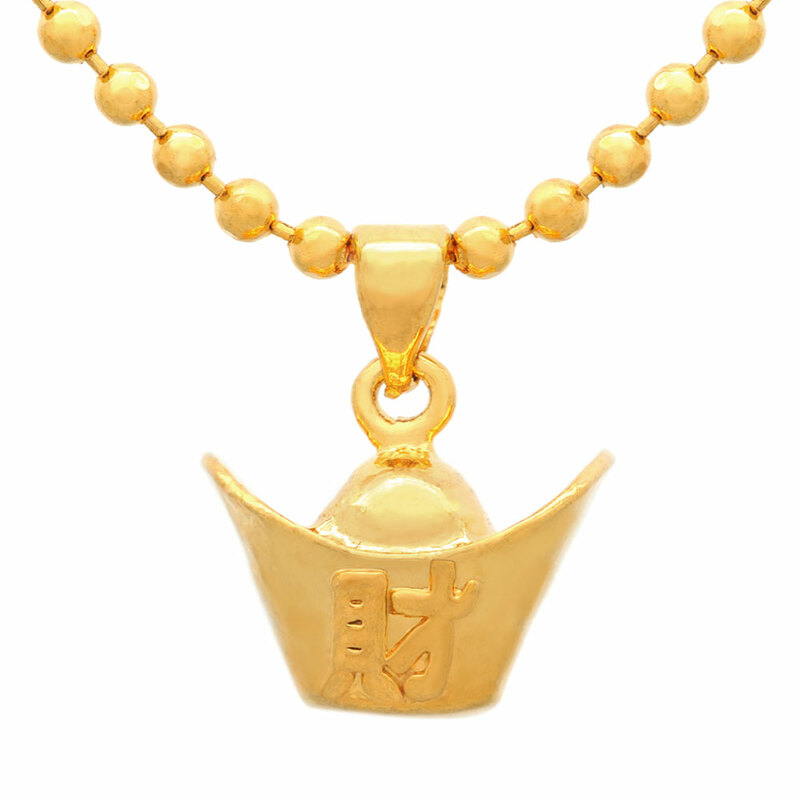 Wear this ingot daily to bring the luck of prosperity into your life. Feng Shui Application: This is the best symbol to wear to say protected against the #5 annual and monthly star. It is also very good for those whose "Wealth Luck" rating is low this year. Please consult Lillian Too and Jennifer Too’s Fortune and Feng Shui astrology books to determine the rating for your animal sign and for this year. Care instructions: Each gold pendant plated with 22K yellow gold. The pendant may tarnish when exposed to sweat for prolonged periods; polish with a jewellery cleaning cloth to maintain a quality shine. Do not immerse in harsh chemical or abrasive cleaners.